Can you think of one single activity that you can do with your toddler, preschooler, or school-age child that includes experiences in math, science, and reading, and builds confidence all at the same time? You don’t need to be an expert in child care education to implement this amazing learning experience—all you need is a good recipe! 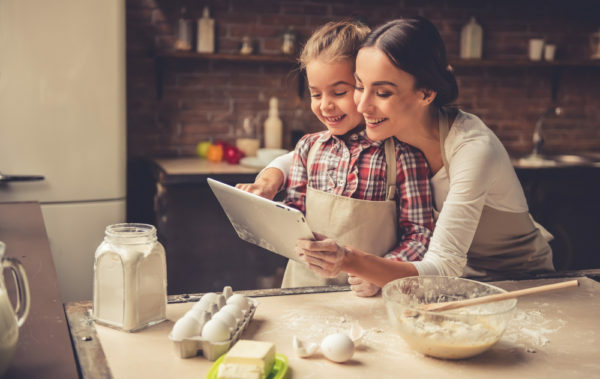 Cooking with children (yes, even toddlers) is one of the best ways to make these connections across so many discipline areas. While it’s often easier to give your child a task outside the kitchen so that you can get dinner cooked, the advantages of including children can outweigh the inconveniences. Meal prep may end up taking more time and create more of a mess, but involving your child in the cooking process has a wide spectrum of learning opportunities and benefits. 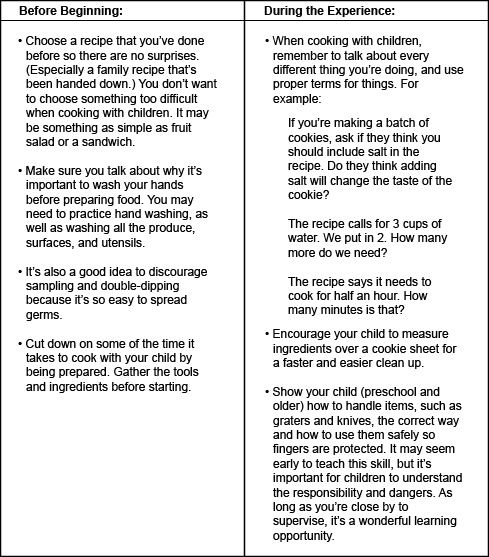 Check out this WebMD article that talks about the benefits of cooking with your child, and also features some recipes that you can try at home.